Financial assistance is available to qualified locations. We are a company that is debt-free and able to be very agressive in the market place with incentives and loans to our loyal customers, new and old. Featuring the latest equipment from the top manufacturers in the industry, JETT has what you’re looking for. Strategic relationships allow JETT to offer our customers the most popular and latest themed games available without delays, helping our location partners maximize revenue and increase profitability. JETT has aggressive revenue participation programs based on sliding scales. Locations generate income based on high revenue instead of volatile net win figures. Let us help maximize your profits with one of our extremely aggressive revenue programs developed specifically for taverns and small casinos. We offer attractive space lease arrangements including installation, operation, maintenance and 24/7 service. 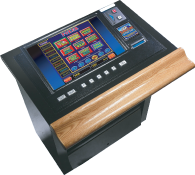 With over 20 years in the route business, JETT boasts the experience and expertise to help every tavern or small casino owner. Utilize the experience of over 650 route locations to help maximize the profitability for your tavern/casino location. JETT will assist in the State and Local juristrictions, and help you complete and submit your gaming application to the appropriate gaming division. 24/7 support for jackpots, maintenance, etc.